Showing the latest in Pop Culture Video's from the Web, updated daily! No information is sold or released to anyone about visitors to SoCulture.us without prior consent or a court order. In other words, no information is released to anyone unless you give permission first. When visiting any Internet site, your unique address called an "IP address" is recorded. SoCulture.us does not release any information about the collection of this address to any third party except under court order. SoCulture.us archives the log files in order to create aggregate statistical reports, detect errors on the web site, and for security reasons. The log files are eventually deleted. IP reports for advertisement clicks are shared with the advertiser. However, they usually have this information already since it is captured by their server when you view or click an ad. This is done to verify billing for the ads. No additional information associated with any specific user is provided to the advertisers. Your privacy is important to us. 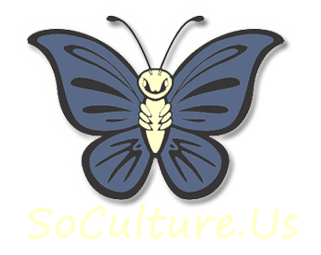 SoCulture.us's service is free for all to use, and prior registration is not needed. SoCulture.us will explicitly ask when it needs information that personally identifies you. All personally identifiable information SoCulture.us collects is only gathered with your voluntary act. When such action is necessary to conform to legal requirements or comply with legal process.